Our readers have spoken. 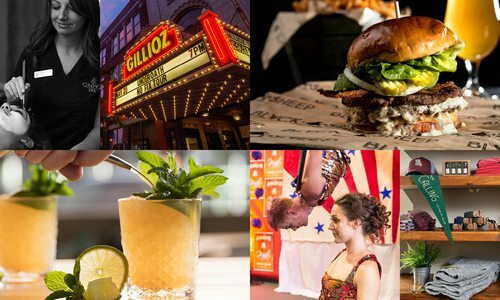 We've compiled the best places to eat, dishes to try and bars to sit down and have a drink in southwest Missouri, as voted by our readers. 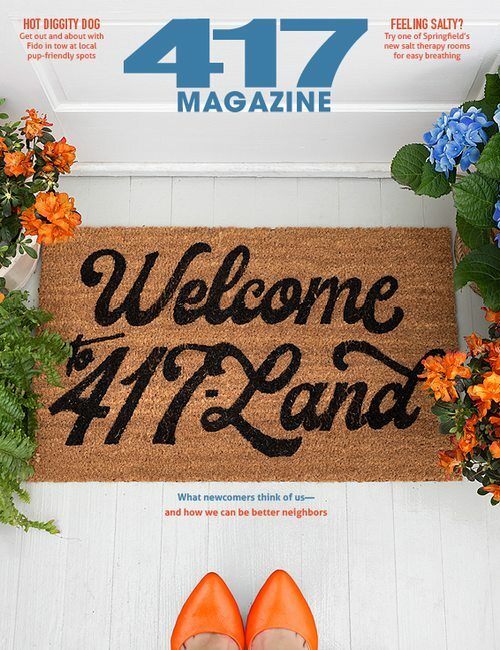 BEHOLD, THE 2019 FOOD & DRINK WINNERS OF OUR NEW AND IMPROVED BEST OF 417 CONTEST, COMPLETE WITH EDITORS' PICKS. Second Place: Classic Rock Coffee Co. Even when it’s a workday—even when we’re only playing hooky from the office—we love gabbing with friends across the table at Derby Deli while we pretend to be ladies who lunch. 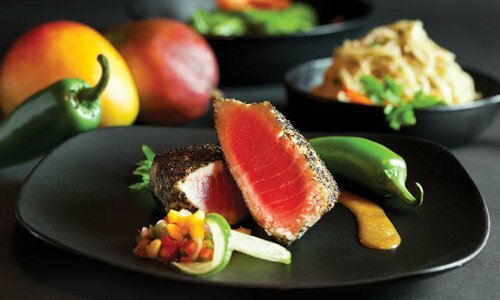 Because the thing about dining inside Brown Derby International Wine Center is that the food is great and the vibe is oh-so-leisurely. Just look at the diners around you. Chances are, they are leaning back in their chair, one hand casually grazing the neck of a wine glass, the crumbs of a finished meal resting on the plate. What’s the rush? Let’s just finish this glass. Maybe have one more. We have all the time in the world. Or at least, we do when we’re ladies who lunch. If there’s one thing we love, it’s stellar pizza. It’s a treat we can rarely resist, and the pie at Vito’s Kitchen is among the best—with perfect crust, creative topping combinations, beautiful ingredients, and an only-open-on-certain-days schedule that makes you feel like you’re part of a club. But we guess it wasn’t enough just to have amazing pie; Vito’s also needed to have amazingly enormous pie. Only the bravest diners with the steeliest of stomachs can tackle the Big Vito Pizza Challenge—a loaded 26-inch, 10-pound pizza that is free if you can snarf it up quickly enough. Is there such a thing as too much of a good thing? Nah! We are continually impressed by the sheer number of gluten-free options available at Commercial Street’s purveyor of Peruvian food, Cafe Cusco. On our last visit we counted a whopping 55 items on the menu that had the friendly little gluten-free symbol beside them. Fifty-five! And that doesn’t even take into account the kids menu. 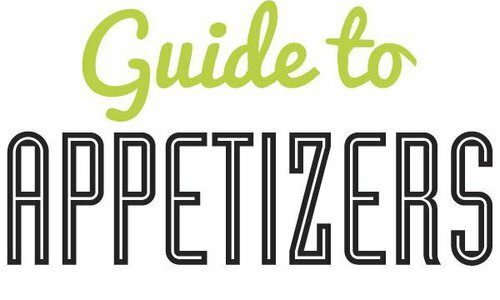 It’s a great place to go if you have a gluten-sensitive out-of-town visitor—a place where they’ll have lots to choose from and won’t feel limited by their dietary restrictions. If you’re visiting for the first time, opt for the ceviche taco plate. The ceviche has a delightful acidic punch, keeping every bite interesting. If that sounds a little too zippy for you, try the Lomo Saltado, a sauté of steak and veggies tossed with fresh herbs and a flavorful sauce. Next time you and your girlfriends are sipping on some rosé and daydreaming about taking a wine country getaway together (even though you know in the back of your mind that you’re never going to plan one), direct the conversation to The Vineyard Market instead. 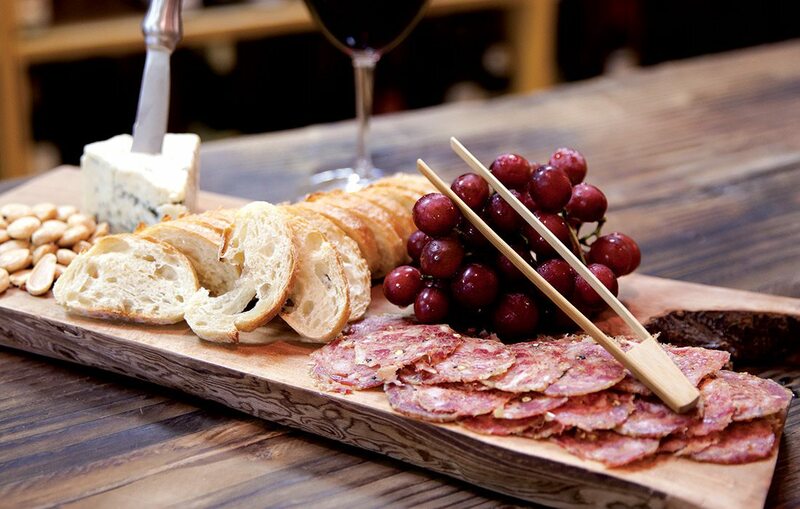 The spot boasts a great wine selection, Napa-style charcuterie boards and other great eats, and even a humidor if you’re into the cigar life. Whether you’re indulging in Mimosa Saturdays or just diving into any old girls’ night out to share a beautiful plate of meat and cheese, this is one of our favorite spots to sit back, relax and dish on some hot goss’. 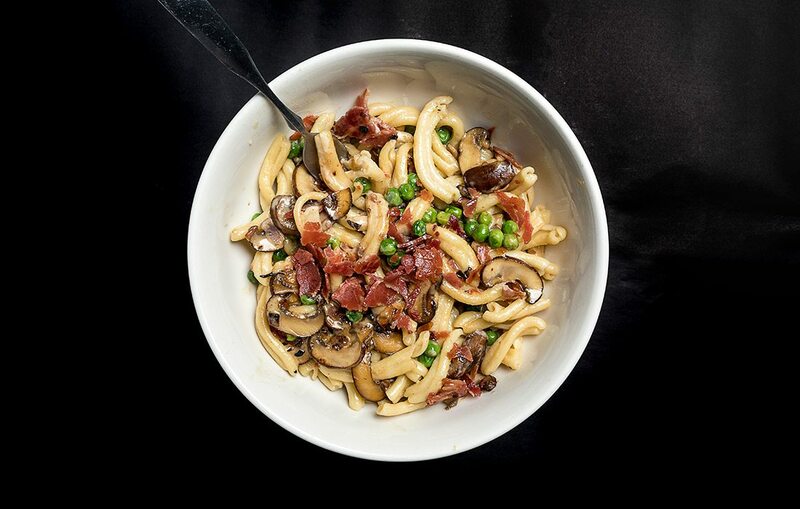 Truly from-scratch pasta is surprisingly hard to come by in southwest Missouri, which is why we get excited when we step inside Salvatore’s Fresh Ristorante Italiano. Not only is handmade pasta their thing, but you can actually see them in action. If you’re lucky, you could pop in for lunch as the fettuccine is stretched or the rigatoni is sliced just inside the front windows and right beside the cozy dining room. Forget your diet and dive into a plate of the Wicked Chicken Riggi’s—a plate of tender rigatoni noodles in a creamy, spicy red sauce with either grilled chicken or (if you think you might be in the mood for a totally worth-it heart attack) chicken Parmesan. Bonus: The bread is handmade, too. 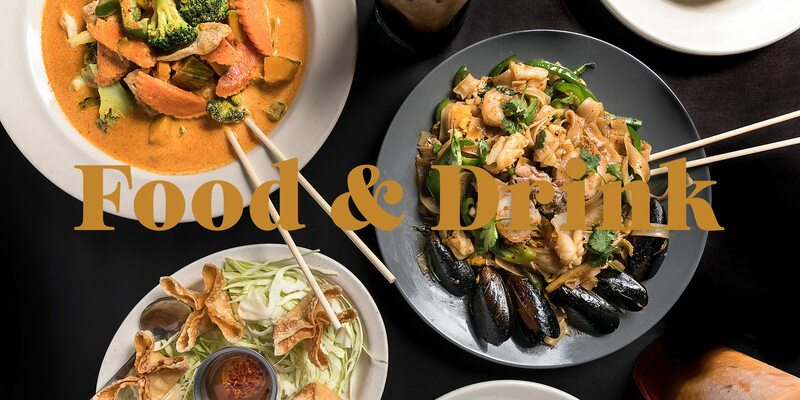 We always get excited when we hear that one of our favorite food trucks has migrated into the brick-and-mortar world (like when The Wheelhouse found a home inside the Vib Hotel lobby and started slinging drunken noodles indoors). It’s just as exciting but much less common that we see things go the other way. But The Pitch Pizza & Pub added some mobile eats to their repertoire with a food truck that makes welcome appearances outside 4 By 4 Brewing Co., a brewhouse that previously only had fresh popcorn to offer hungry patrons. Now, guests can taste some luscious craft beer, join in some fun games and fill their bellies with stellar pizza at the same time. So be sure to keep an eye out for the shiny little red trailer from The Pitch on your next visit to the brewery. Have you ever tucked into a plate of crispy fried catfish at an eatery hidden inside—wait for it—a craft mall? Then you’ve never enjoyed the comfort food from Pickin Porch Grill. At Branson Craft Mall you can work up an appetite perusing handmade arts and crafts and then fill up on things like burgers and fried appetizers. It’s typical American fare, but it’s done so well that numerous Bransonites have told us it’s among their favorite places to grab a bite in the area. And really, you can’t go wrong with a pile of crunchy onion rings, can you? We feel especially ooey gooey for the carne asada fries, topped with a homemade avocado sauce. Oooh, that sounds good. Just be aware: Pickin Porch Grill closes for the winter along with much of Branson. Make sure you swing by when they reopen on March 1. Mornings are hectic enough as it is, and sometimes we feel lucky if we even get out the door on time. So when we go to breakfast, we want it to feel like a bit of an escape—from the hullabaloo, and from our daily pasty oatmeal. 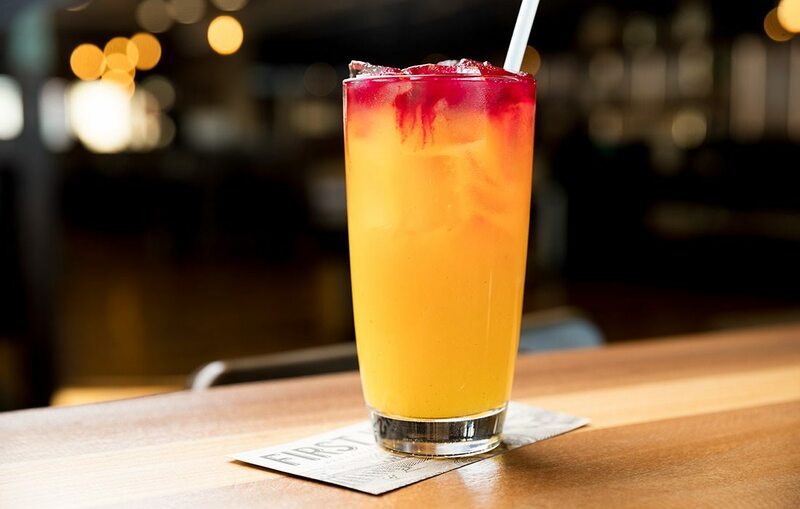 That’s why the Morning Meditation juice at First Watch always has us singing a bright, new tune. The zippy combination of orange, lemon and ginger gets a hint of earthiness from turmeric and beet. It’s sweetened with agave nectar, the most zen of all the sweeteners. The way the beet juice floats on top of the bright citrusy parts of the drink makes it feel just a little bit like you’re about to dip into a tequila sunrise—minus the vice. It’ll turn your day right around, especially if you woke up on the wrong side of the bed. You know when you’re hungry but you don’t know what you want because you’re kind of in the mood for everything? You want something warm, but not hot. You want something crunchy... but also soft. Maybe smoky, but it’s gotta have some sweetness in there, too. You also need something, like, melty? It’s a hard feeling to pin down, and when it strikes, a satisfying meal is a challenge. Luckily for those in the Springfield area, there’s one dish that will check all the boxes. That, my friends, is the barbecue nachos at Smokin’ Bob’s BBQ. A base of crunchy tortilla chips is smothered with smoked cheddar cheese and piled high with pulled pork. (This is the traditional meat option, but feel free to ask for others, like the burnt ends.) Then drizzle sweet or spicy barbecue sauce, a scoop of beans and a scoop of coleslaw. Now you’re really building flavors and textures. But don’t stop there! Make your nachos next level by ordering a side of cheesy corn. Save the cup and dump it right on top of your nachos. Use both hands to carry your creation to your table, and devour the perfectly warm, crunchy, soft, smoky, sweet, spicy, melty, delicious dish that satisfies every craving. Money can’t buy you happiness, but it can buy you a pickle from Druff’s, and that’s pretty darn close. What makes these pickles so good you ask? They’re a wonderful combination of salty and sour and just a little bit crunchy. They also provide the perfect contrast to Druff’s signature grilled cheese sandwiches, adding just a touch of brightness to an otherwise rich meal. We love that these dill pickles are made in-house. The team at Druff’s starts by making a brine composed of vinegar and some secret spices (including coriander, mustard seed, lots of garlic and more). The brine is simmered, and then more herbs and spices are added to the mix. Throw in some cold water, and it’s ready to be poured over the fresh cucumbers. A mere 48 hours later, these chill dills are ready to be served. A quick pickle at its finest. In a green and pink hut off the train tracks hides Springfield’s best-kept secret. As soon as the clock strikes noon, customers pack Tacos el Gordo (1510 N. National Ave., Springfield) to the gills waiting for flavorful tacos, burritos, tortas and the ilk. But the shining spot on the menu isn’t the trompo (although meat on a spit is never to be missed); it’s the pupusas. As is anything wrapped in masa and crammed full of pork and cheese, these certainly aren’t good for you, but oh, lord, are they good. The pupusas are perfectly pillowy and, surprisingly for something coming straight off the griddle, not at all greasy, meaning you won’t think twice about devouring one (or two! ).